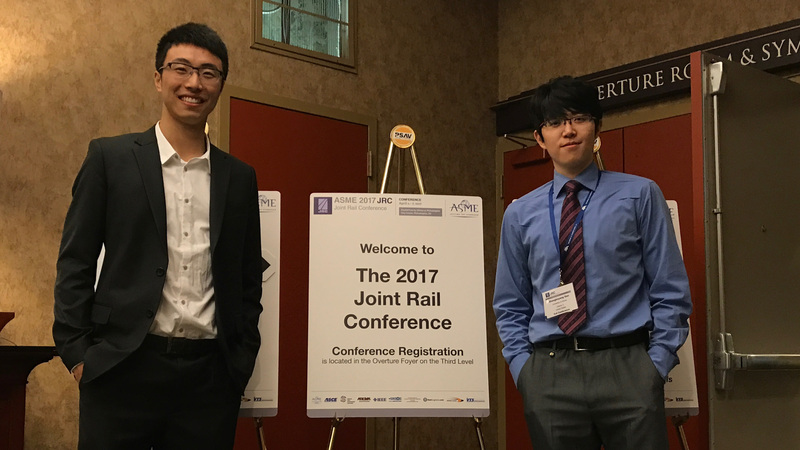 UIUC RailTEC alumni Zhipeng Zhang (L) and current UIUC RailTEC graduate student Zhengboyang Gao (R). 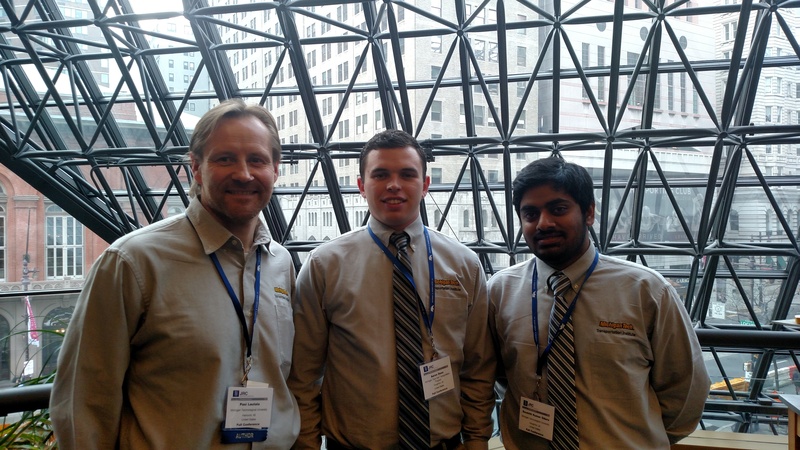 Left to right, Michigan Tech representatives Pasi Lautala, Aaron Dean and Soumith Oduru. 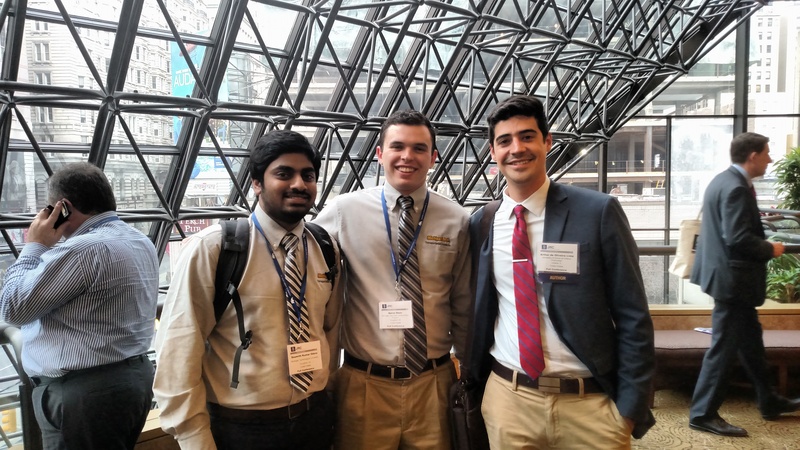 Left to right, Michigan Technological University students Soumith Oduru and Aaron Dean with UIUC graduate student Arthur de Oliveira Lima. 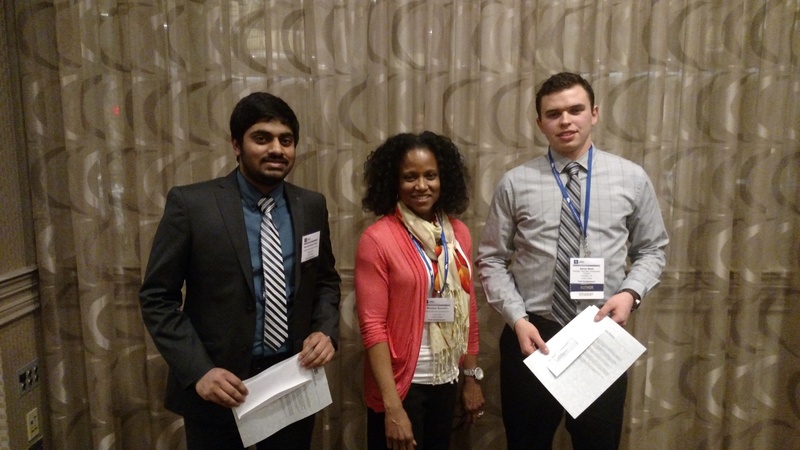 Michigan Technological University students Soumith Oduru and Aaron Dean with FRA representative Monique Stewart.